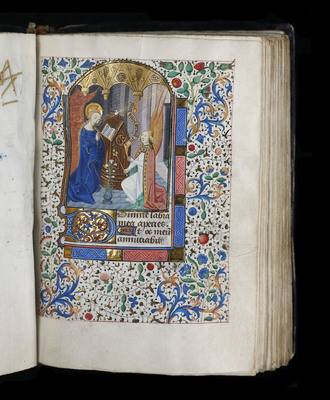 Skidmore's Book of Hours was assembled in the 15th century, most likely in France. 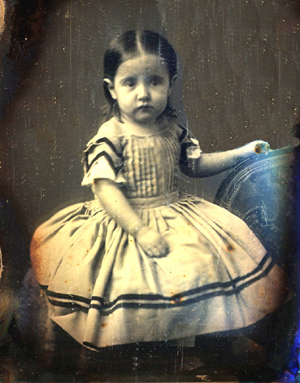 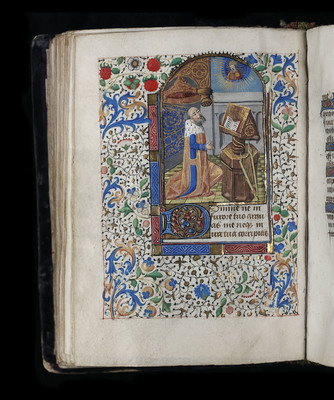 The book was purchased by Professor Louis Edgar Johns in Paris in 1932. 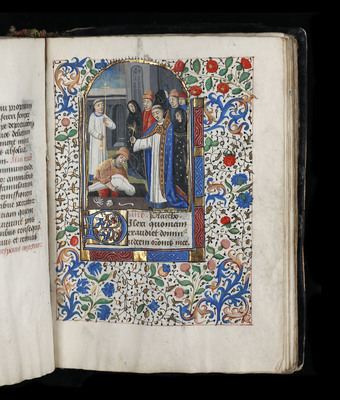 For more information about what a Book of Hours is, please visit Picturing Prayer, an online exhibit by the Houghton Library, Harvard University. 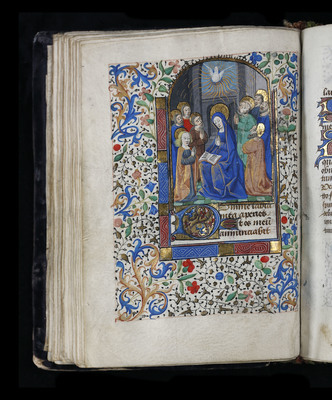 Click here to view all images from this digitized Book of Hours.